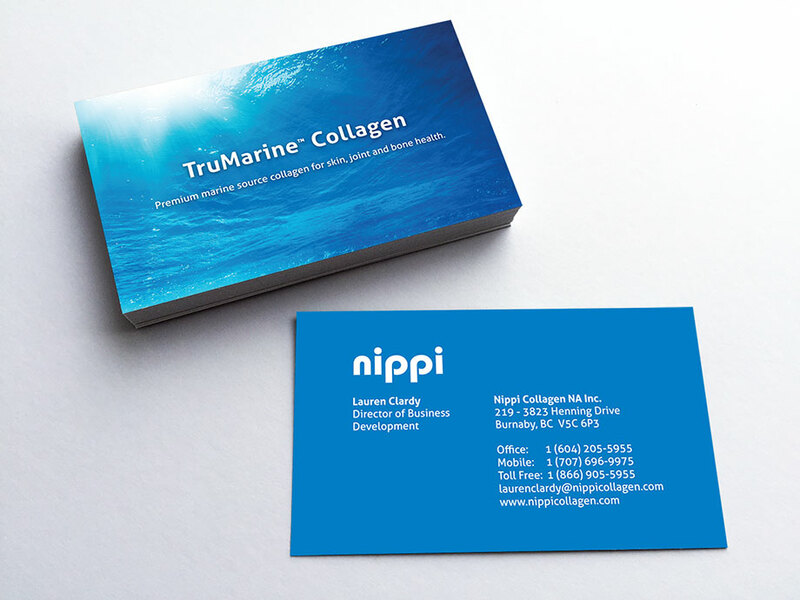 Nippi Collagen produces marine collagen for a variety of applications. 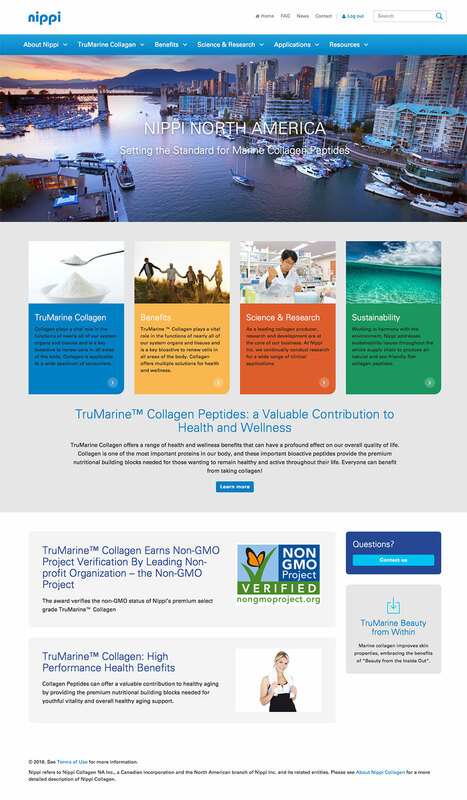 I was hired to design the corporate website as well as the brand for TruMarine Collagen, a branch of Nippi Collagen that supplies premium collagen to the health and beauty industry. 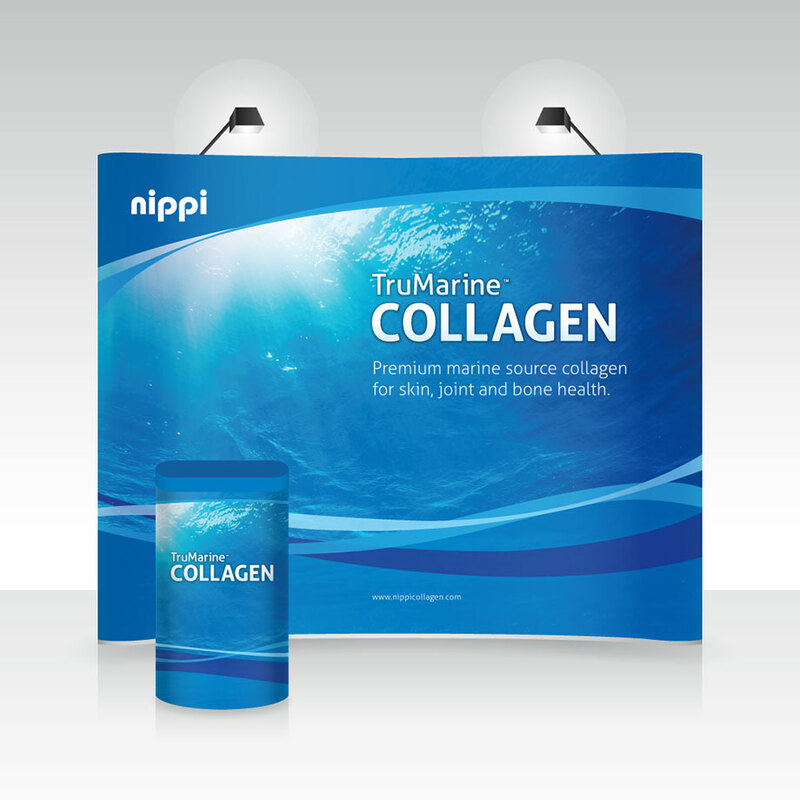 The brand package included a logo, business cards, and trade show booth.